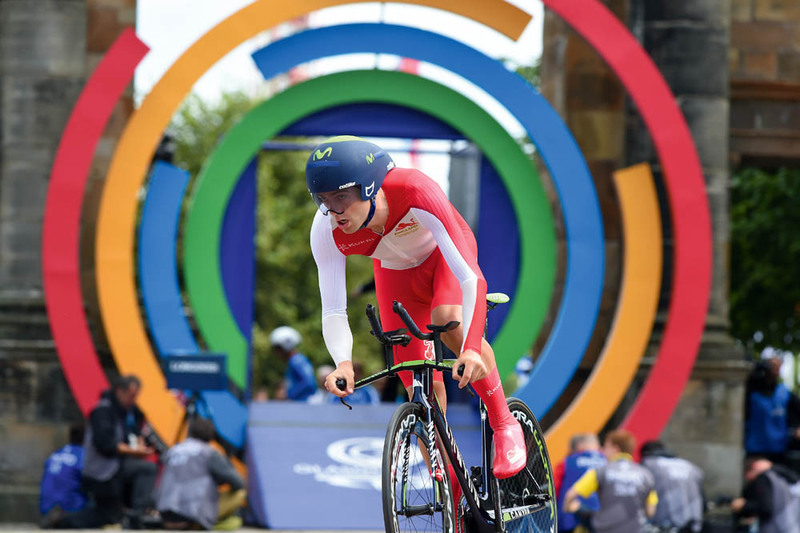 Alex Dowsett sets off from the start at Glasgow Green’s park gates to go on to win Commonwealth gold in the individual time trial. Australia headed the medal table in the track cycling during the Commonwealth Games. 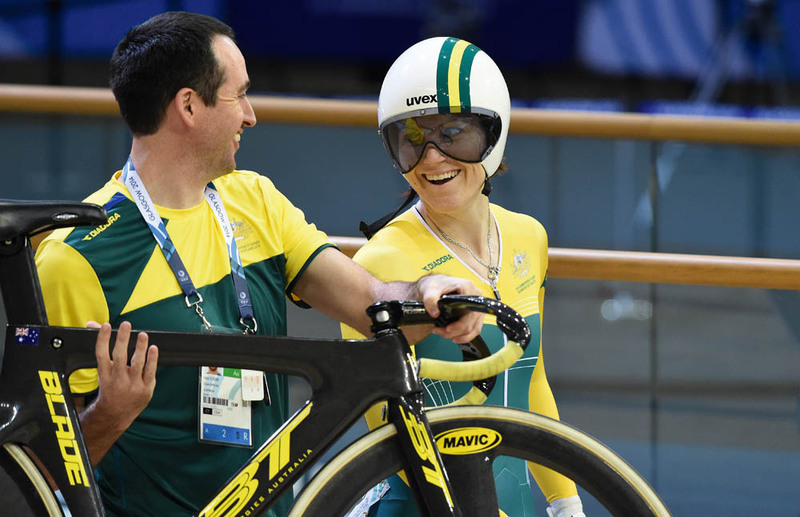 Here, Anna Meares was obviously enjoying her racing and would take Australia’s first track gold in the 500m TT and a silver in the individual sprint. The University of Sheffield Cycling Club were out in force to give their support on the ‘Côte de Bradfield’ close to the finish in Sheffield on stage two of the Tour de France. A Lampre mechanic works on Rui Costa’s bike into the evening, using the lights from the mechanic’s truck at the Challenge Mallorca event in February. 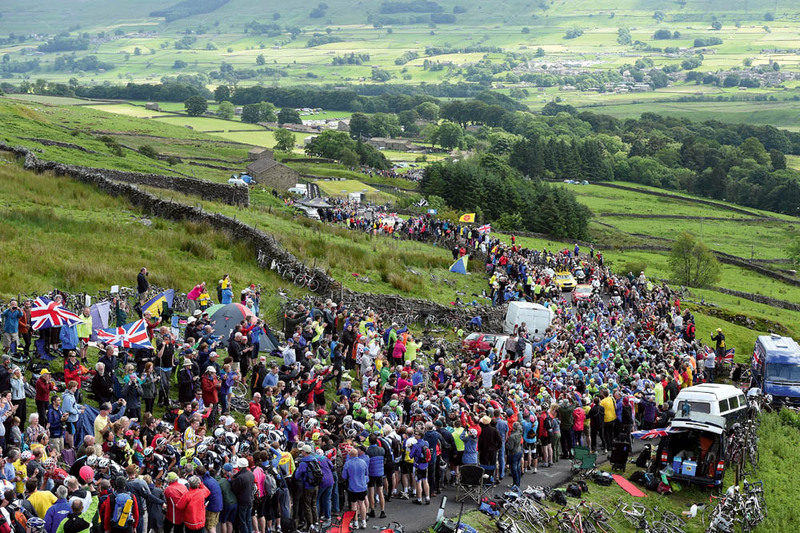 The road from Hawes up Buttertubs was lined with hundreds of spectators, cheering on the stars as they passed by on stage one of this year’s Tour de France from Leeds to Harrogate. 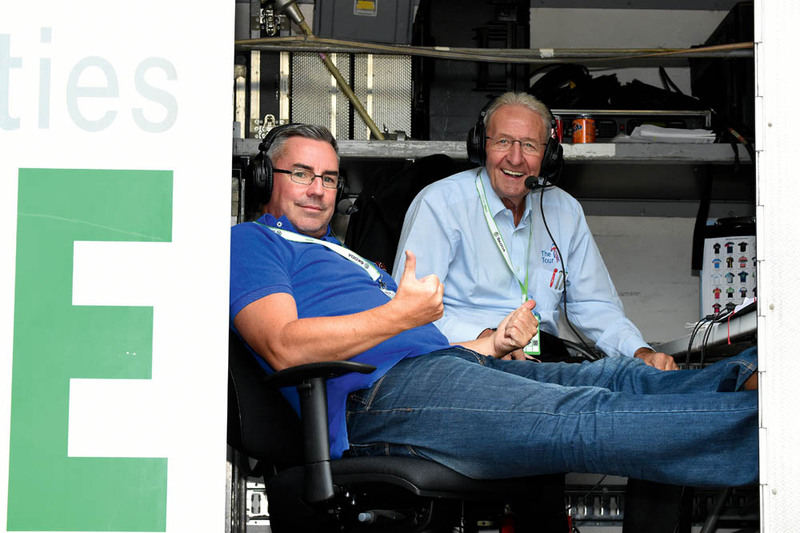 Brian Smith and Hugh Porter at their commentary point in the back of a TV truck, during coverage of the Tour of Britain. Chris Froome departs from the stage four finish in Lille at the Tour after visiting the medical truck to check injuries sustained in a crash that day. Froome started the following day but would abandon after crashing again in a weather-affected stage five. 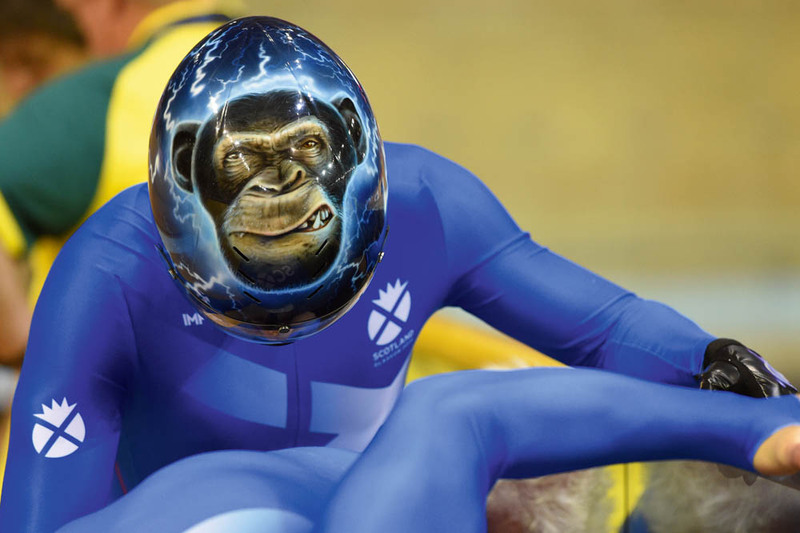 Scot Neil Fachie sported a customised helmet with chimpanzee airbrushed artwork during the Commonwealth Games in Glasgow. 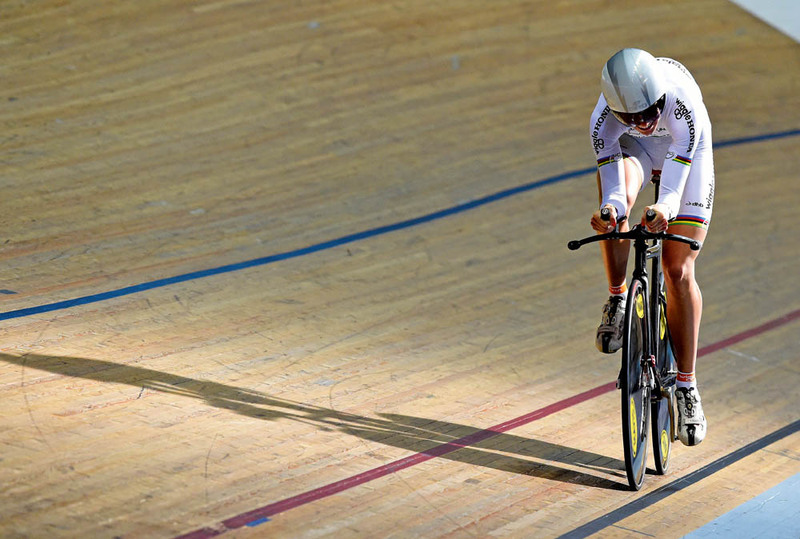 Fachie, a champion Paralympian, was piloted by Craig MacLean and attained a gold in the kilo TT and sprint T2 events. 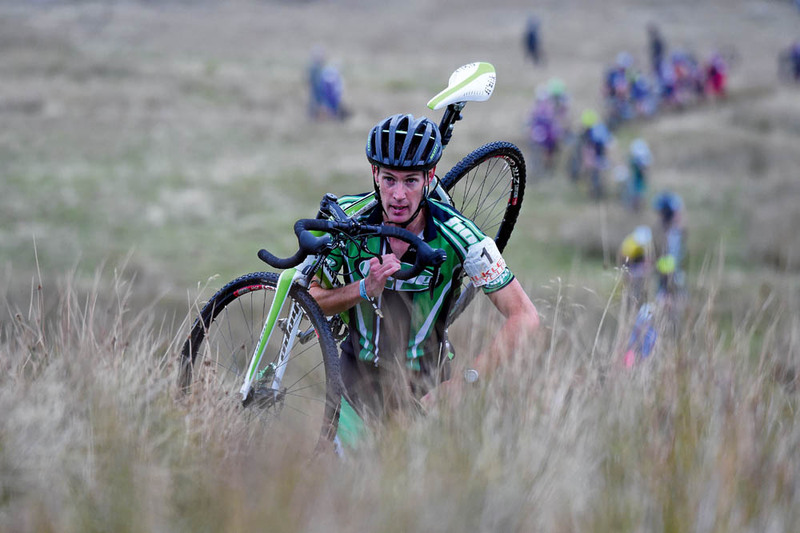 Three Peaks Cyclo-Cross legend Rob Jebb heads the race up Simon Fell and would go on to take his 11th win in this classic race. 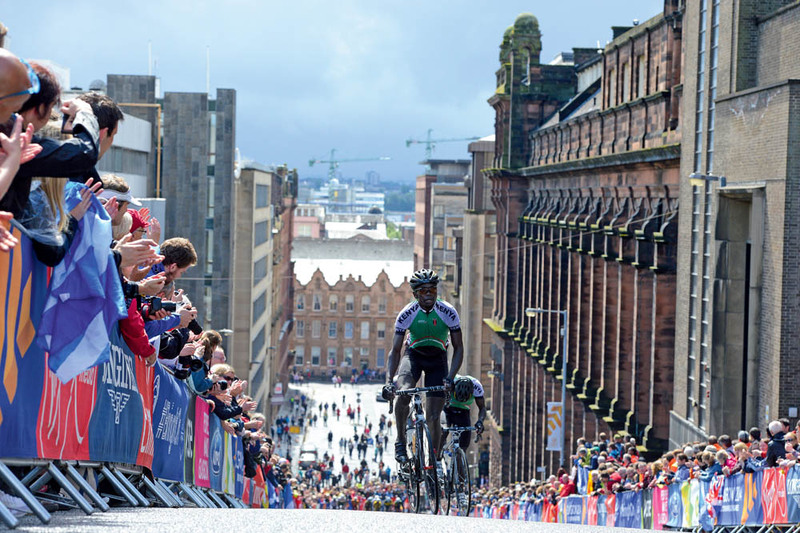 Liverpool hosted the start of this year’s Tour of Britain. 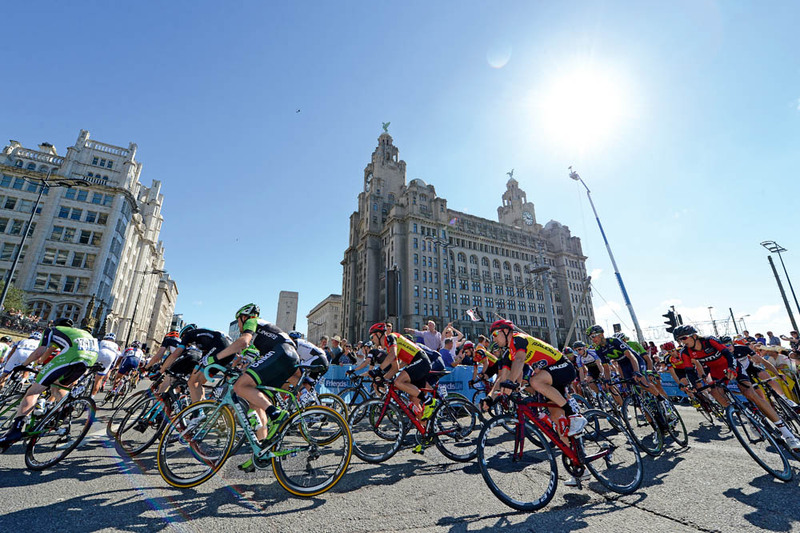 Blue skies welcomed the riders as they passed by the famous Royal Liver Building on the city’s waterfront in the opening criterium stage. 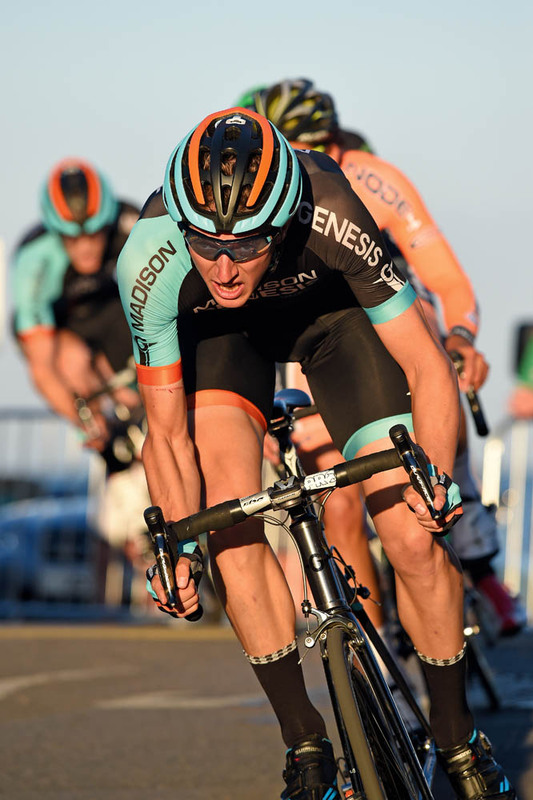 Tom Stewart powers into the late evening sunshine in Gorey, Jersey during the finale to the 2014 Tour Series. Stewart eventually soloed to an impressive victory on the island. Matt Bottrill celebrates as he realises he has finally taken the National 10 TT title, on the South Cave course near Hull. 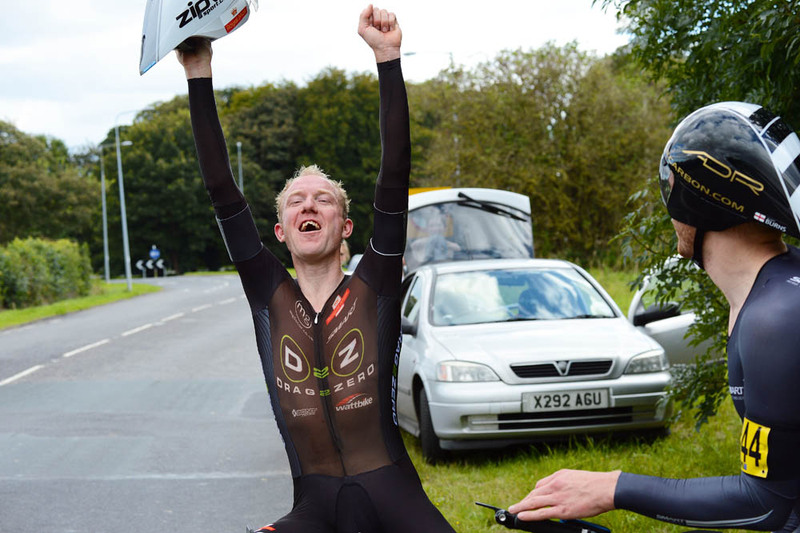 Bottrill took a clean sweep of titles in 2014 with the 10, 25 and 50 mile championships. 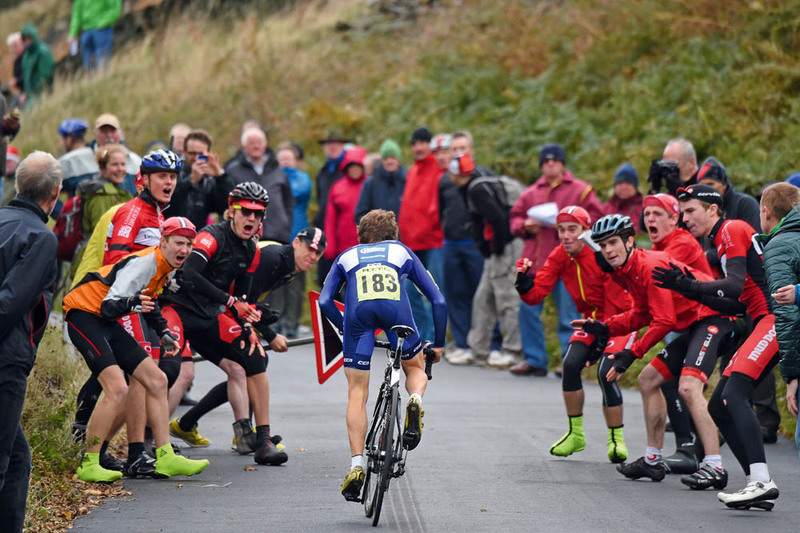 The University of Bristol’s cycling club cheer on Felix Barker as he climbs the National Hill- Climb course on Pea Royd Lane, Stocksbridge near Sheffield. World individual pursuit champion Joanna Rowsell passes through a window of late afternoon sunlight during qualifying at the National Track Championships in Manchester. National Road Race Championships, Abergavenny. 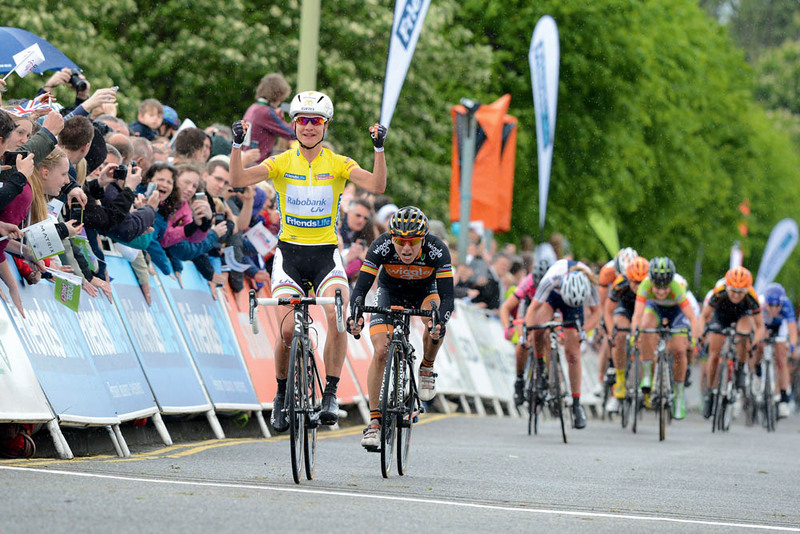 Laura Trott shows her delight in taking the 2014 title from Dani King and Lizzie Armitstead. 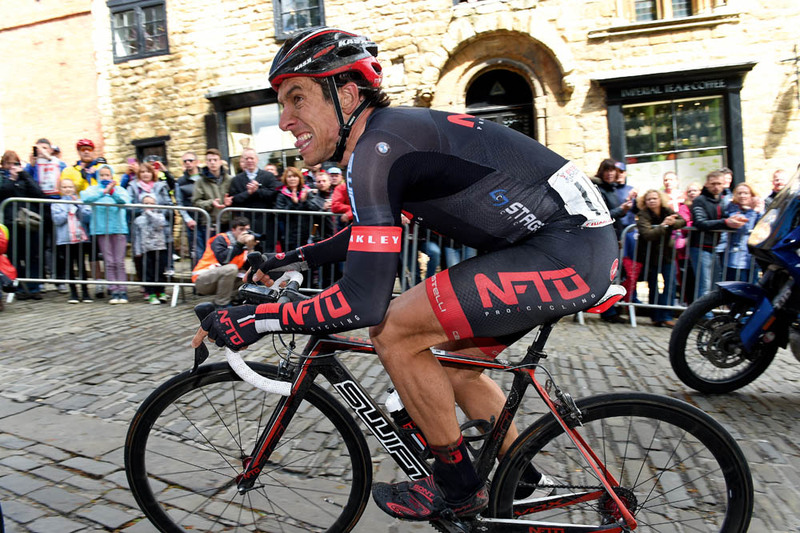 Dean Downing retired in July after the Sheffield Grand Prix. He’s seen here in typical style on the cobbles of Lincoln back in May. 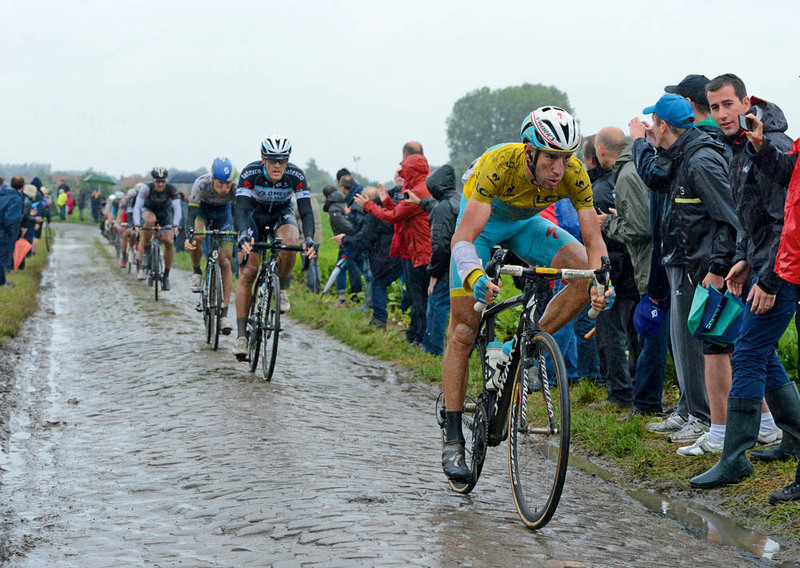 Vincenzo Nibali powers over the cobbles near Brillon in northern France during stage five of the Tour de France. His bike handling skills over the mud and rain-covered pavé helped him place third on the stage and stay in yellow. 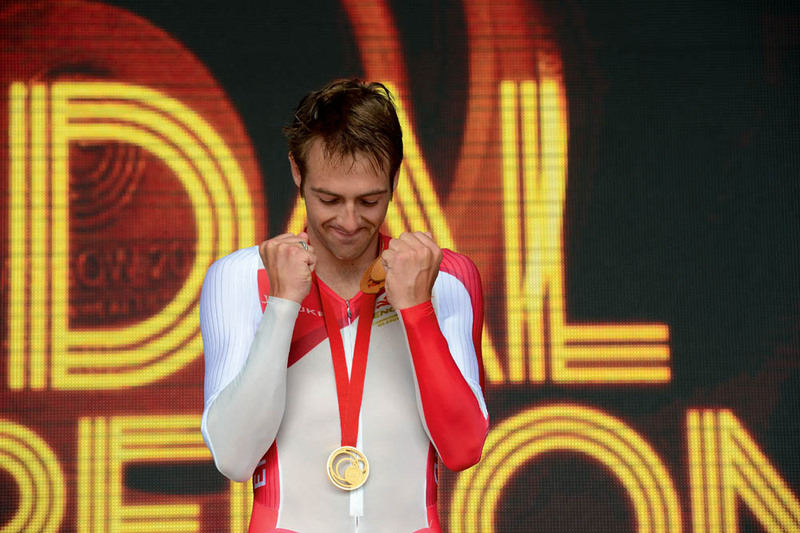 An emotional Alex Dowsett clenches his hands with bowed head as he is awarded gold in the road time trial at the Commonwealth Games. Commonwealth Games, Montrose Street in Glasgow. A rare window of sunshine, tiny stick-like figures at the bottom of the street and the cranes against the Glaswegian skyline helped give this image an almost Lowry-esque feel. Women’s Tour race leader, and eventual overall winner, Marianne Vos sprints to victory ahead of Georgina Bronzini on stage four to Welwyn Garden City. 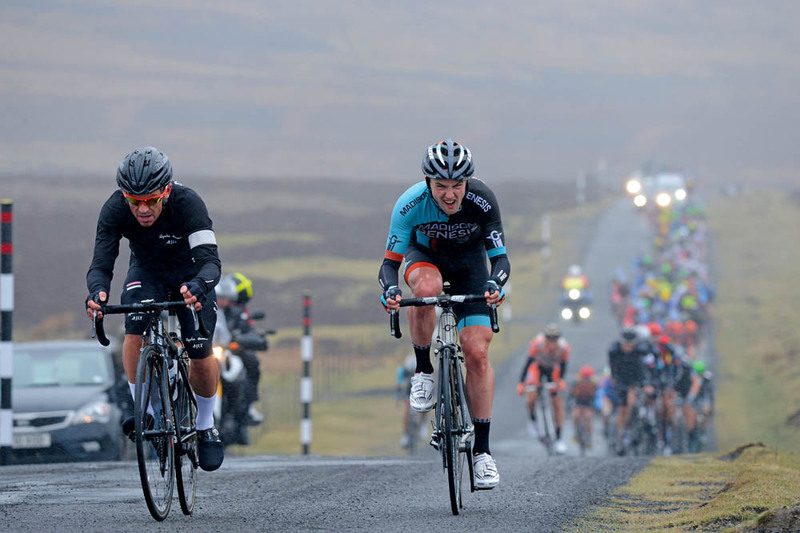 Graham Briggs and Peter Hawkins head the field up Bale Hill and Meadows Edge on stage one of the Premier Calendar’s Tour of the Reservoir. Rain, mist and wind made for bleak conditions. Geraint Thomas headed the Tour peloton up Côte de Bradfield as the race headed to the finale in Sheffield on stage two. 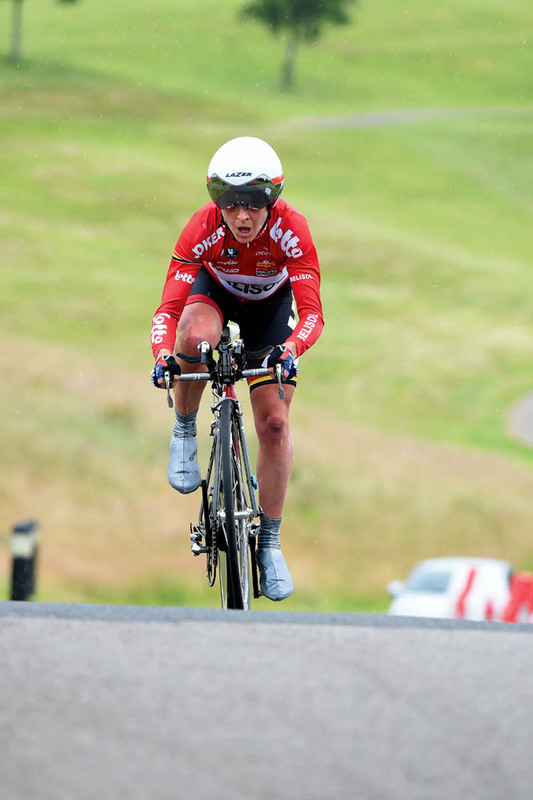 Emma Pooley showed her TT-ing class as she rode to victory around the testing course at Celtic Manor for the British National Championships. 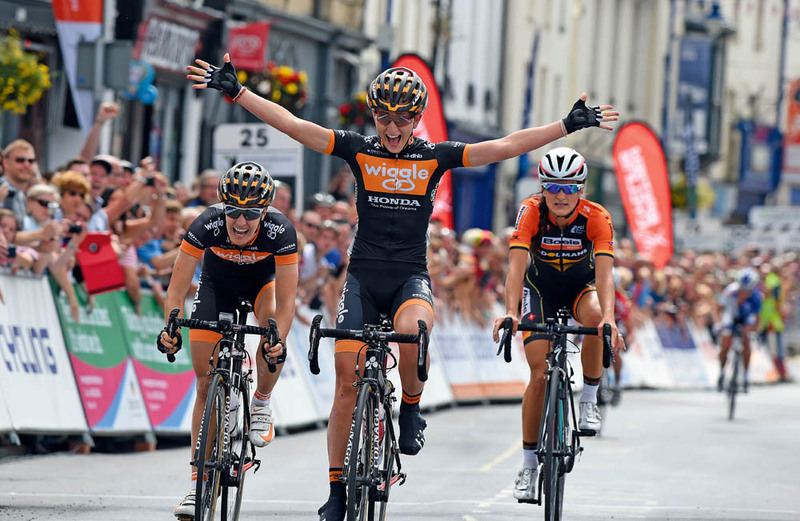 Pooley retired after taking a fine silver in the Commonwealth Games road race. 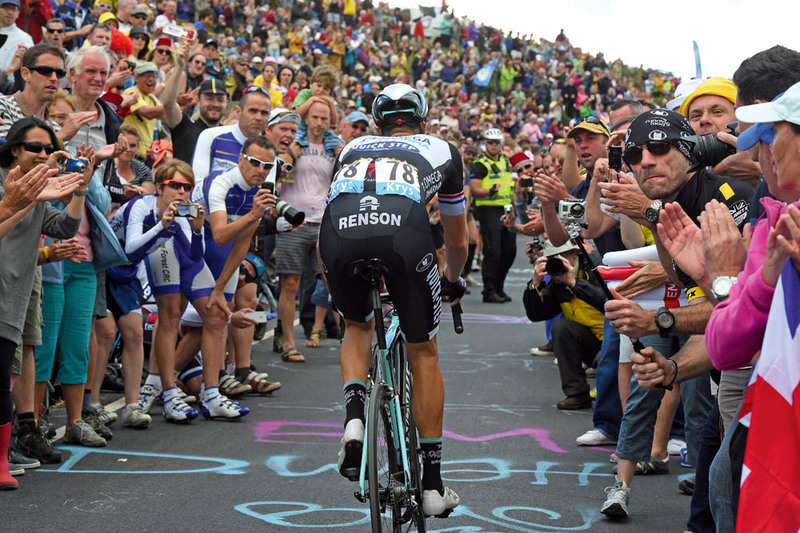 Niki Terpstra was towards the back of the Tour peloton on Côte de Bradfield, but had huge crowds to urge him onwards. 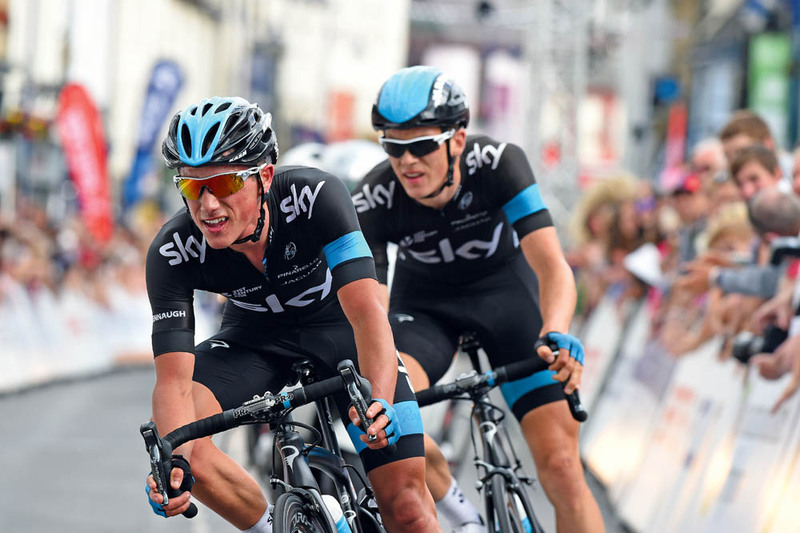 Team Sky team-mates Peter Kennaugh and Ben Swift duel it out in the finale to the National Road Race Championships in Abergavenny. Kennaugh just outsprinted Swift to take the title. 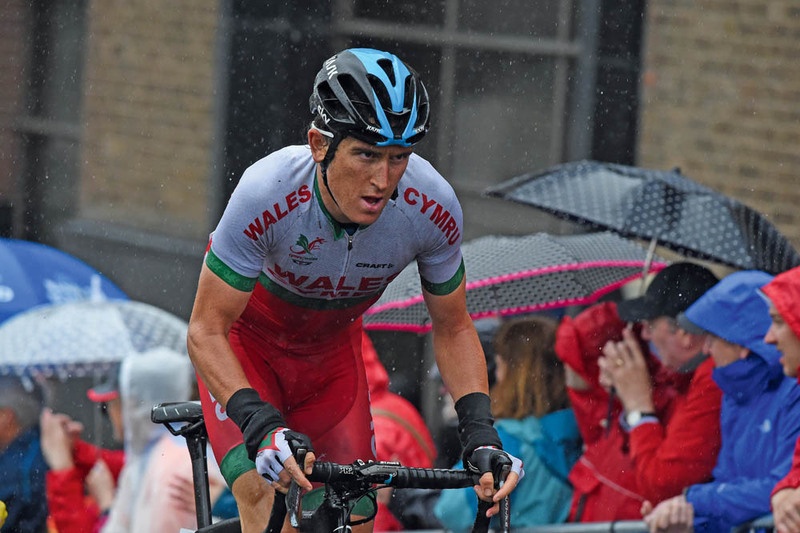 for Wales, soloes through the rain and windswept streets of Glasgow to coolly take Commonwealth road race gold. L’Eroica Britannia was a highlight of the calendar with riders here enjoying the Tissington Trail, the ‘Strade Bianche’ of the Peak District. 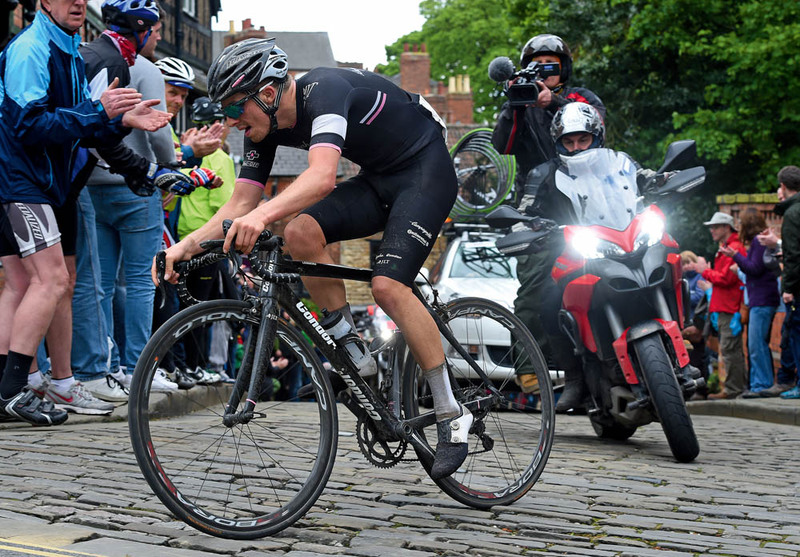 Tom Moses leads the field over the Michaelgate cobbles in Lincoln during the Lincoln GP in May. He was thwarted in his efforts to win after being closed down by Yanto Barker, Mike Northey and Marcin Bialoblocki in the final lap, with Barker eventually taking the victory. 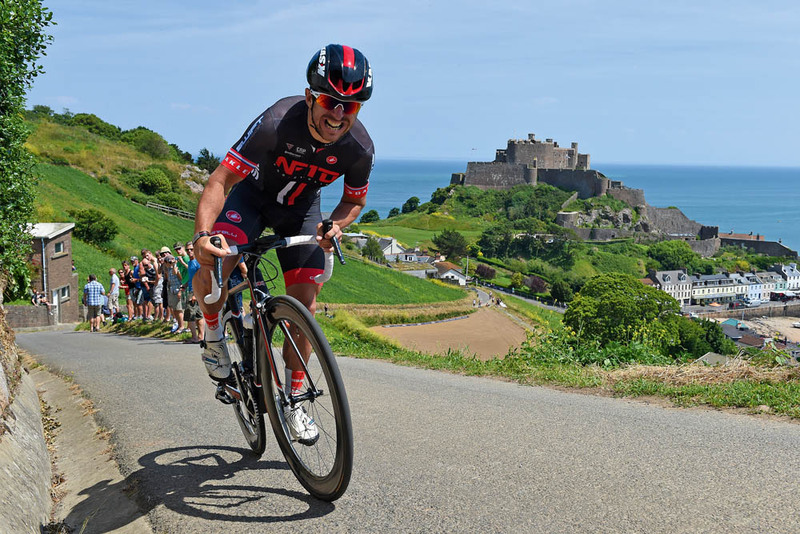 Russell Downing powers up the hill-climb stage of the Tour Series finale on Jersey. The Mont Orgueil Castle in Gorey forms the idyllic backdrop.